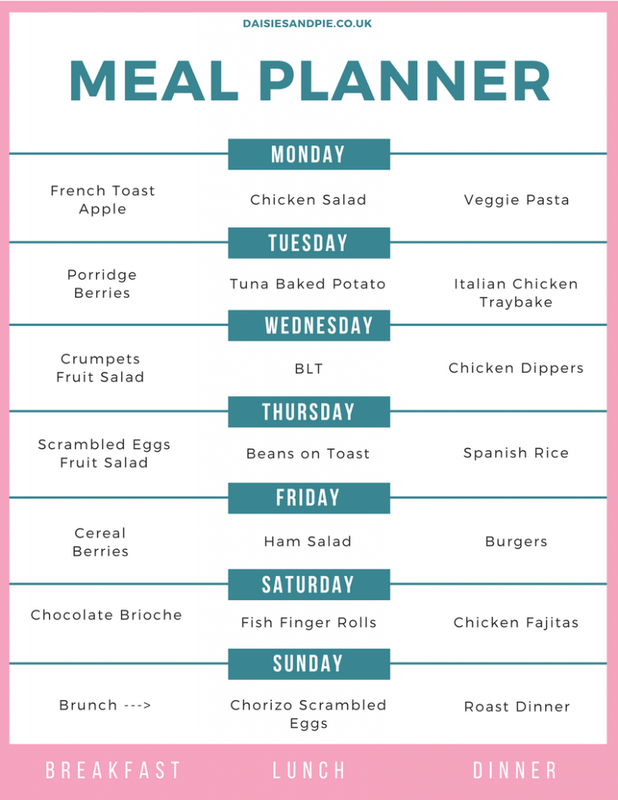 A weekly family meal plan filled with easy to make child and time friendly family meals. You can grab the recipes for this weeks favourite meals below. Quick spaghetti dish that’s loaded with veggies, just swap and change the veggies depending on what you have in and what you like to eat. 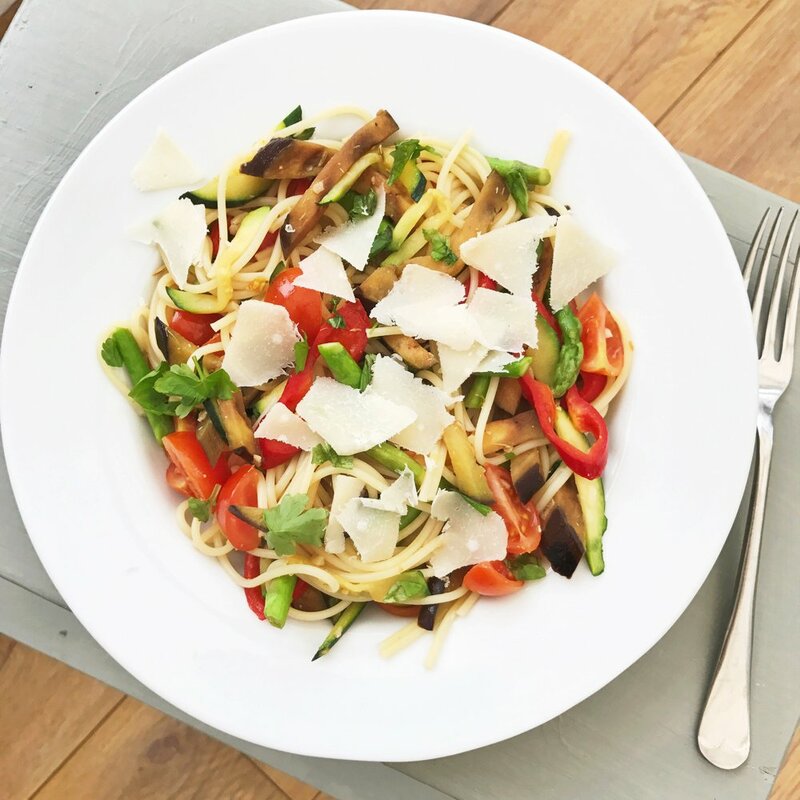 Get the very veggie spaghetti recipe here. I love to make this, it’s all cooked in one tray, low cost and delicious served with crusty bread and a green salad. 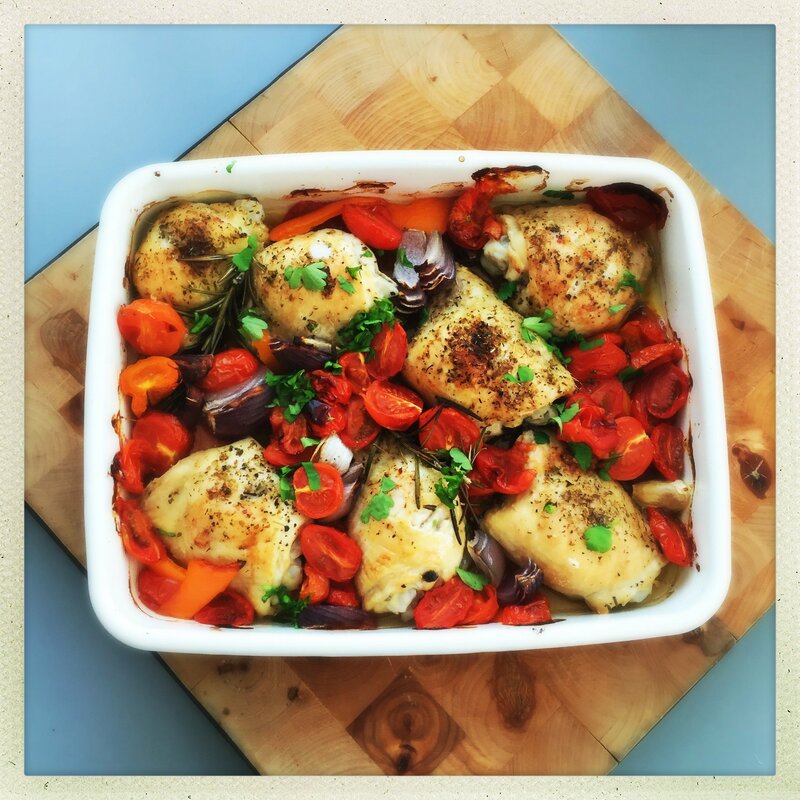 Get the Italian chicken traybake recipe here. 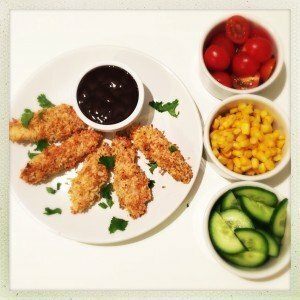 The kids just love these and they’re really easy to make, you can spice them up if you like with a pinch of chilli powder or cajun spices. Get the homemade chicken dipper recipe here. 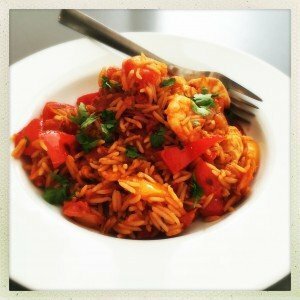 Another really easy cheat-y recipe that I love to cook. It’s packed with Spanish flavours but ready really quickly. Serve with a green salad. Get the Easy Spanish Rice recipe here.